Village 1 Apartments | APARTMENTS - • The Chamber - Lawrence, Kansas. Village 1 Apartments has the perfect home waiting for you. We have 1, 2 and 3 bedroom floor plans. 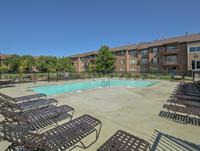 All apartments include dishwasher, garbage disposal, ceiling fans, patio or deck.